Bonn, 27 January 2015 - The UNEP AEWA Secretariat is pleased to announce that it has launched the national reporting cycle for the 6th Meeting of the Parties (Bonn, Germany – 9-14 November 2015) with a technically enhanced version of the system first used for MOP5. Credentials and passwords have been sent to all focal points and correspondents, and the deadline for submitting reports is 12 May 2015. 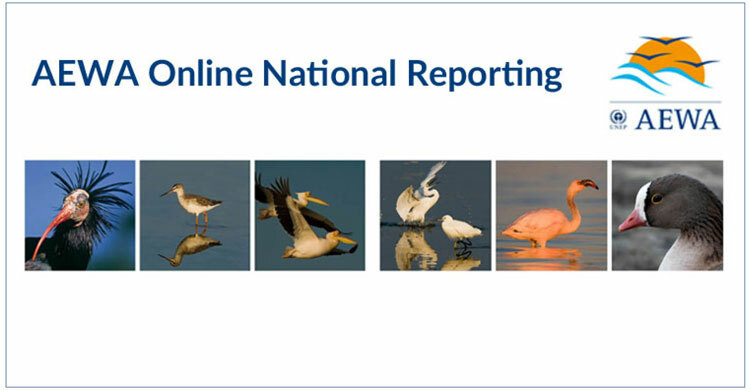 The reporting template can be accessed from the CMS Family Online Reporting System (ORS) here. There is also an updated user guide (available here) and further assistance can be obtained from the Secretariat at the following email address: aewa_national_reporting@unep.de or by phone (+49) 228 815 2428.